God is patient, God is kind. God does not envy, God does not boast, God is not proud. God is not rude, God is not self-seeking, God is not easily angered, God keeps no record of wrongs. God does not delight in evil, but rejoices with the truth...God never fails. I love that, don't you? Those attributes of God? And I'd like to clarify the "God does not envy" one. Oh, to be sure, he is a jealous God. The Bible even tells us that. But what he isn't is envious or covetous of anything we possess. And why would he be? He owns it all anyway. He is jealous, however, when our affections place anything above him in our lives. That's because he is jealous for us. He's also patient, kind, never concerned with himself but sacrificing everything for us. I especially love the last two...not easily angered and keeping no record of wrongs. Oh, do I need those on a daily basis because I screw up. All the time. I let people around me down. I can be so selfish. I can be demanding. I'll say the wrong thing or get upset rather than forgive. I'll even be short with my kiddos. And I get so down on myself when I do. In fact, I record my wrongs and replay them in my mind. I'll never be as perfect as I want to be. But God doesn't expect me to be, or you to be. What he does ask is that we take on his attributes to the best of our ability, and where we feel the stretch and inability in our lives we need to let him take over. Where we are weak, he is strong (2 Corinithians 12:9). If he is in us, then his attributes will begin to shine through us (Ephesians 5:1-2). He expends that love on us. We are beyond blessed to receive it. And when he lives in us, we have the ability to pass that love onto others. I said it above, I mess up on a daily basis. Yet I cannot allow his forgiveness to become an excuse to not try harder. Grace is a marvelous thing, but rather than expecting it to cover all my shortcomings and never grow, I chose to work on loving people the way God called me to. I'll get it wrong at times. I'll be a lifelong work-in-progress. 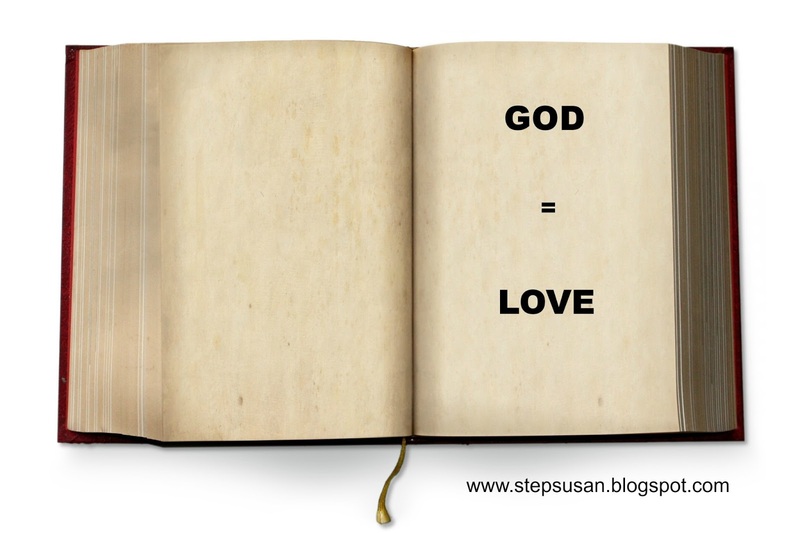 But if God = love, and he is in me, then Me + God = love too. See. Who ever told you you'd never use math? Don't forget Numbers in the OT. Our God is a numbers God, and I'm sure He smiled as you wrote this post.